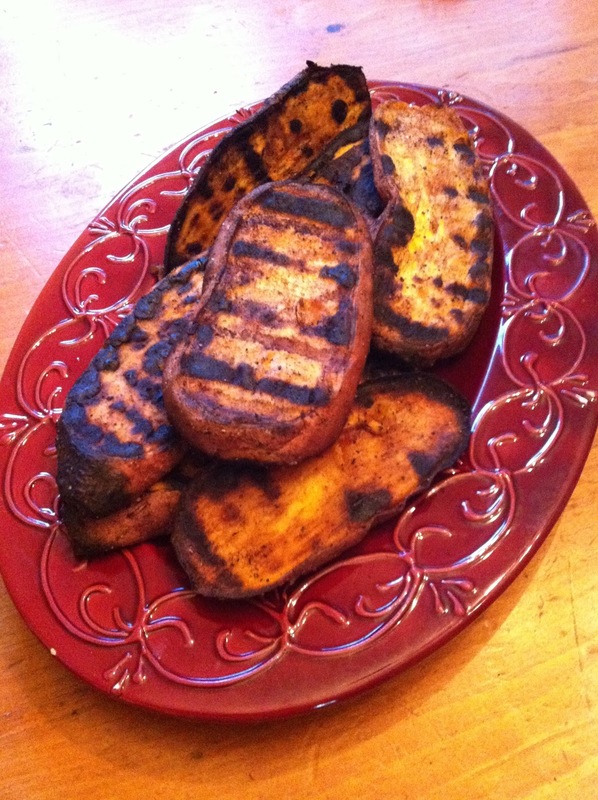 As long as you’re grilling why not throw on some sweet potatoes. Slice them anywhere from an eighth to a quarter inch thick then toss with a little bit of olive oil, and your spices of choice. If you don’t want to think too hard use the Lawry’s, yes, it’s as great as you remember. Otherwise salt and just about anything works, granulated garlic, cumin, or paprika are all good. Because the sweet potatoes take up so much room on the grill it’s best to get them on before your main course then when they are nicely browned on both sides you can stack them to the side or on a rack above and the indirect heat will finish them off. Great the next day in a salad too.